For several years we have raised weaner pigs here on our property. Raising and butchering pigs for your family is not hard to do. It’s a great way for us to know what is in the meat we are eating. Raising and butchering pigs for your family saves you so much money, especially if you can have the pigs on pasture for most of their lives. Next year, we may be back to raising a couple of weaners. They are called weaners (and it IS spelled weaner, not weiner cuz that’s what you put in a hot dog!) because these little piglets have recently been weaned from their mother’s milk. How long does it take to raise a pig to slaughter? Not long. That’s why pigs work perfectly for us here. We like to work seasonally; that is, we don’t usually keep animals all year round. Ideally, what works best for us is to raise animals from early March into December. Figure out what works best for you and your family! 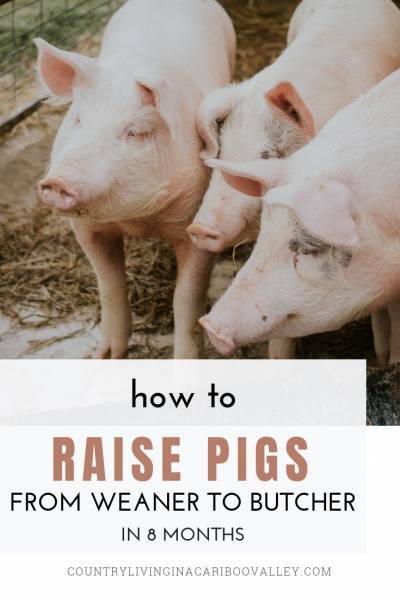 Can you raise pigs all year long? Do you want to? It will be a big help if you plan your yearly goals ahead of time. Not just for raising animals, but for gardening, building projects and the like. Pigs grow quite quickly – to give you an idea, we receive piglets around the end of March. When we get them, they weigh maybe 25 or 30 pounds. They are adorable at that age too! As soon as we get them settled, we spend time with them every day so they get to know us. 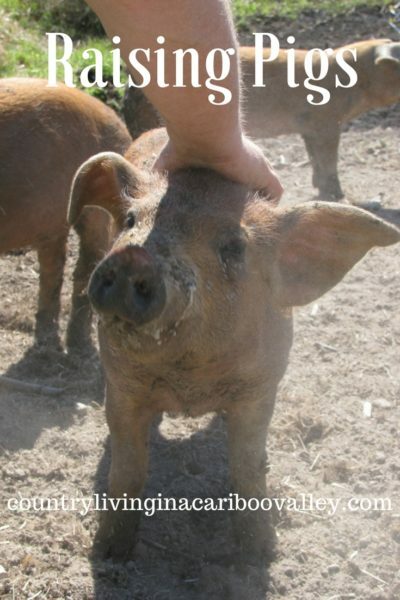 Pigs love a good scratching and are friendly too. We grow a LOT of their feed ourselves! 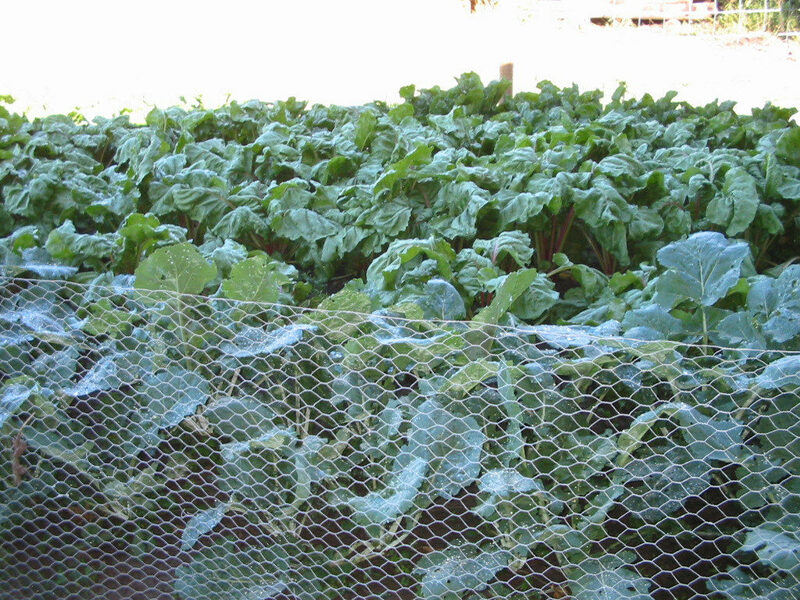 They actually get a huge garden full of root crops and leafy greens too. 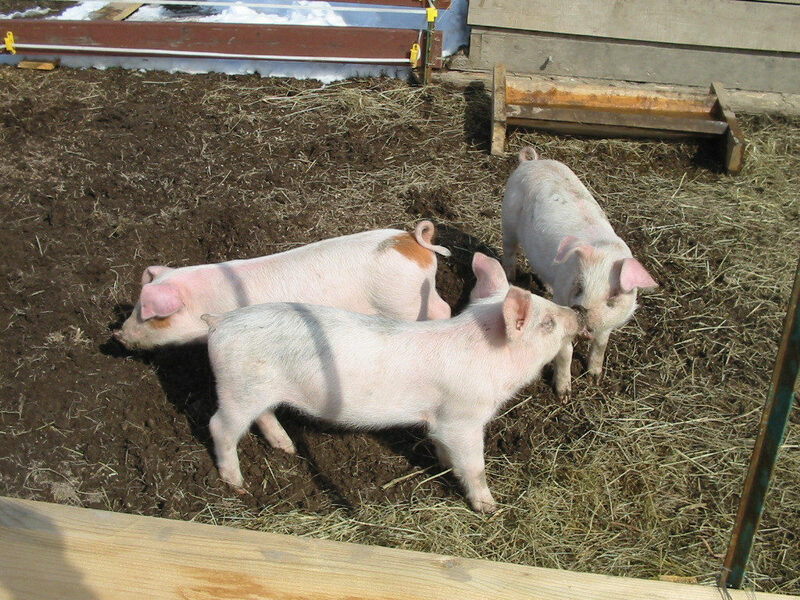 Read about how to grow animal feed – you will see exactly how we feed the pigs. We butcher them in very late October or early November of the same year. It’s a bonus that we don’t have to overwinter them. By the point of slaughter, each pig will dress out at about 250 pounds. They are not as adorable when they get bigger. They have to be trained to electric fence, if you want to pasture them. 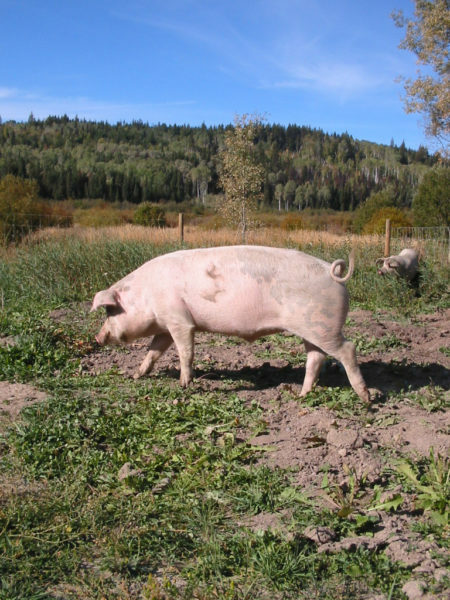 Pasturing is the best way to raise pigs as they will till up the pasture, eating pretty much anything they find and growing bigger while doing it. This decreases their food bill and that is always a good thing. 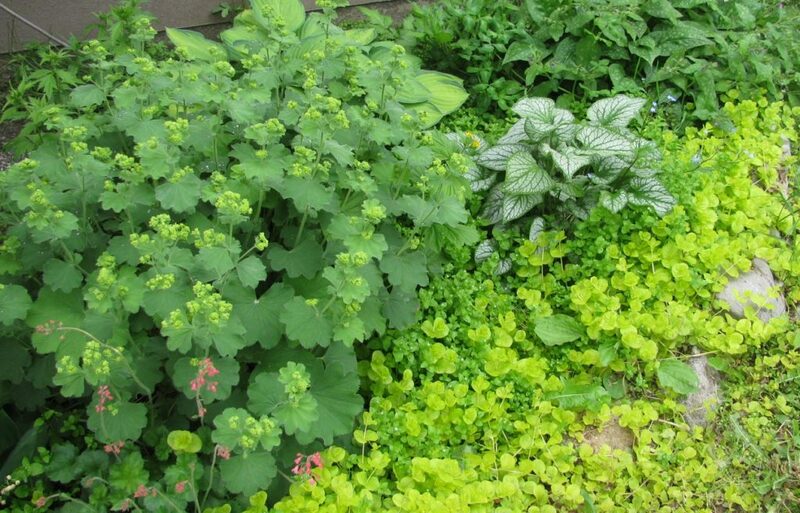 Do you have a future garden plot all staked out? Do yourself a favour and put a couple of weaner pigs in there the year before you plant. They will do all the tilling and fertilizing for you! These pigs above are busy rooting through the dirt. Meanwhile they are digging up next years garden for us. Here are more articles we have posted on this site about raising and butchering pigs Decide for yourself if it is something you think will work at your place. Aside from training them to electric fence, they are not hard to have around and provide a lot of laughs. Having two pigs will definitely provide enough meat for a family of four for one year. Once you get a couple of sides of butchered pork in your freezer you will be glad you raised them. They are fun to raise as well. 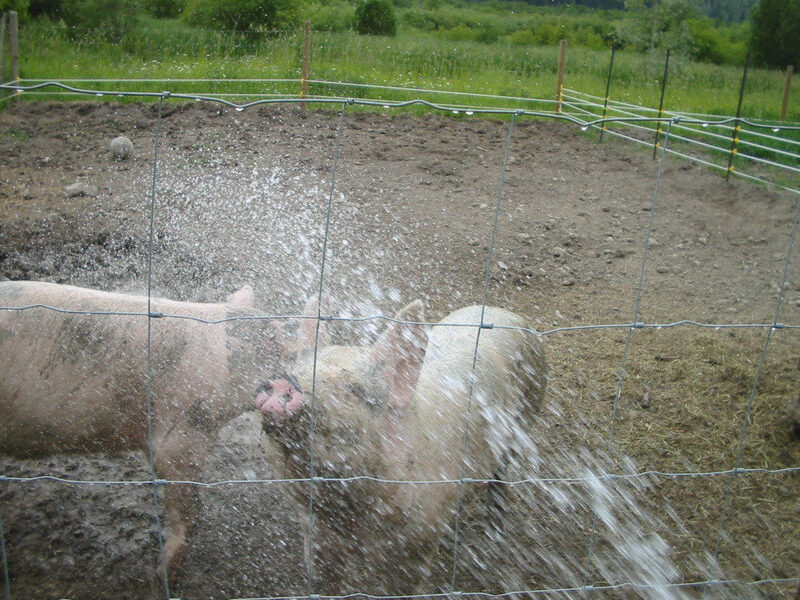 Pigs are very social animals, which is why we recommend raising more than one at a time. A pig on its own can get lonely. They are also pretty smart. They can be trained and you will see them interact and protect each other. Often, we sit on the porch on a sunny afternoon, beer in hand and watching the pig races, as we call them. Or the pig channel, if they are not running around in circles at the time. We’ve even been known to place a wager on a certain pig to win the pig race. We make our own fun here in the Valley, and fun we do have! 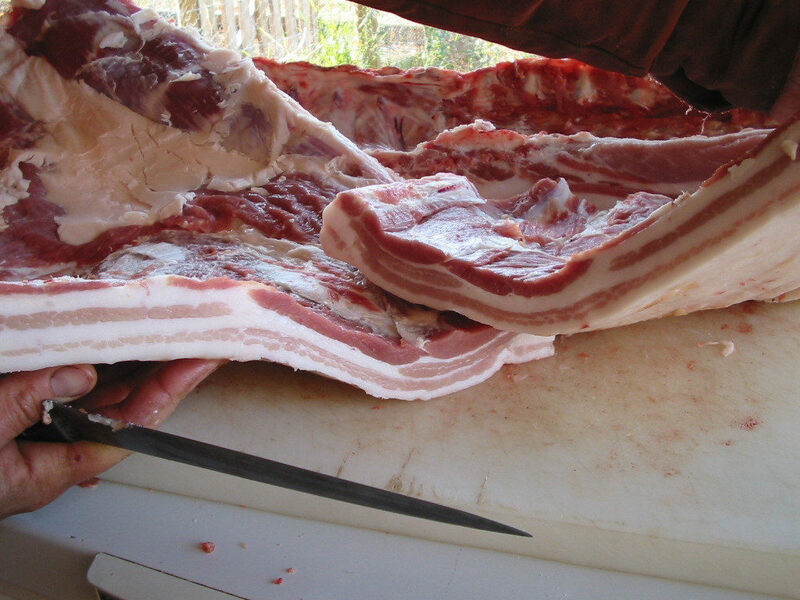 Fast forwarding to after the slaughtering process; here is part of the butchering process. 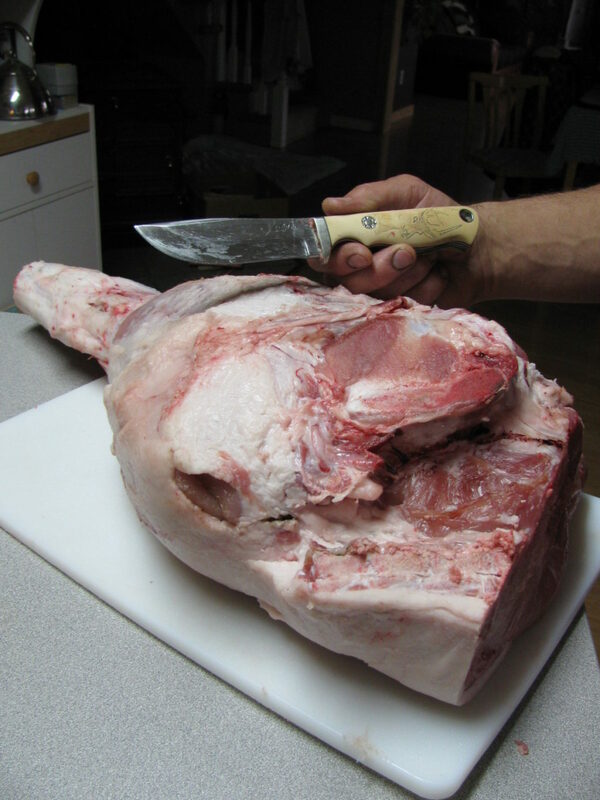 Butchering simply means the cutting up of meat into things like chops, steaks, roasts, etc. Here is our go to book on butchering any type of livestock or wild meat. 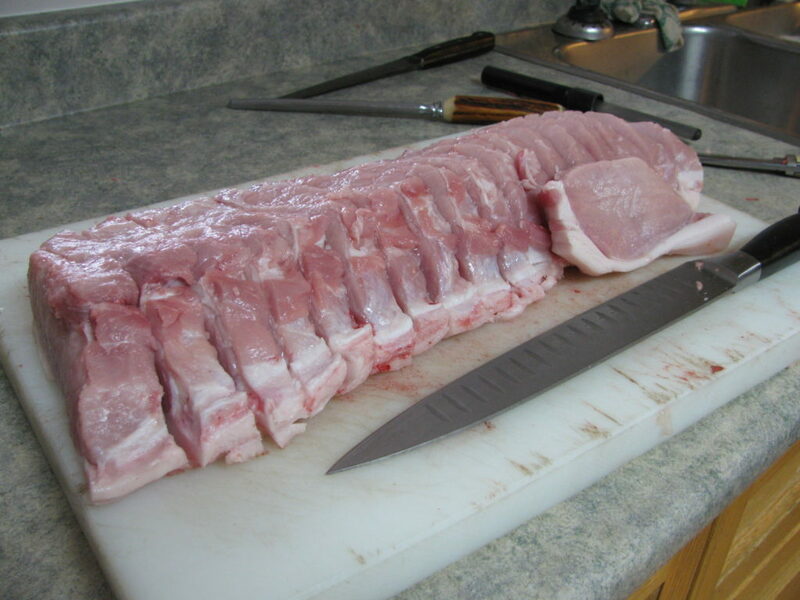 This is only part of one half of a pig, so keep this in mind when you read through the rest of the information. Pork Shoulder Steaks. Look how nice that meat looks! 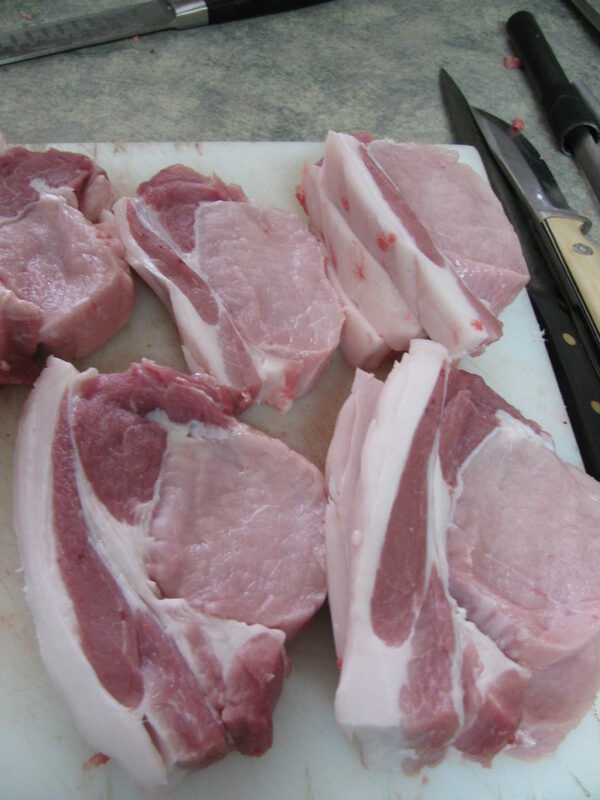 A nice layer of fat and great looking pork – these will be great when we make Turmeric Garlic Pork Chops! Sides of Bacon ready for brining and smoking. Normally, we cut these into slabs of about 2 pounds, wrap them and then freeze them. Later in the year when we have more time, Graham will take out some packages, thaw them and put them into a brine for smoking. Loin chops ready for wrapping. Remember that this is only one half of a pig. 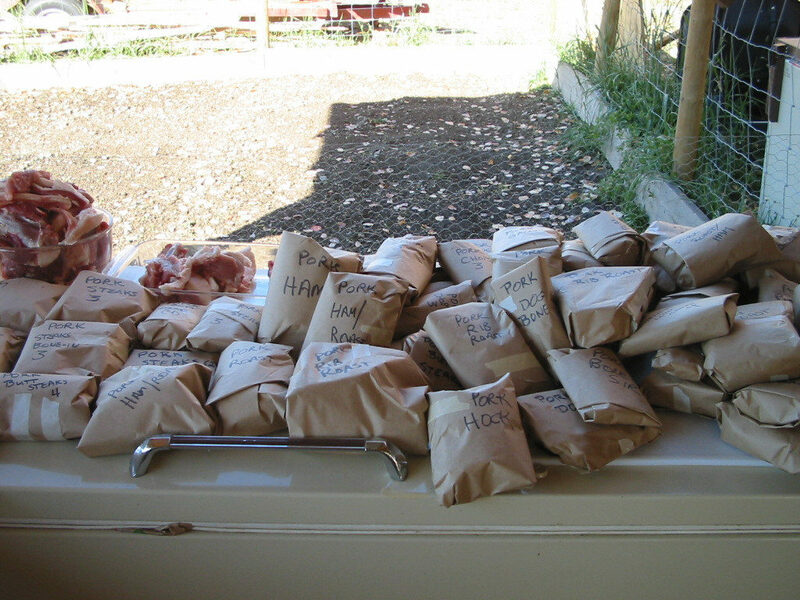 It is such a great feeling to cut and wrap meat that we raised ourselves. It looks (and tastes) so healthy compared to some of the grocery store meat. A cooler full of butchered and wrapped homegrown pork. 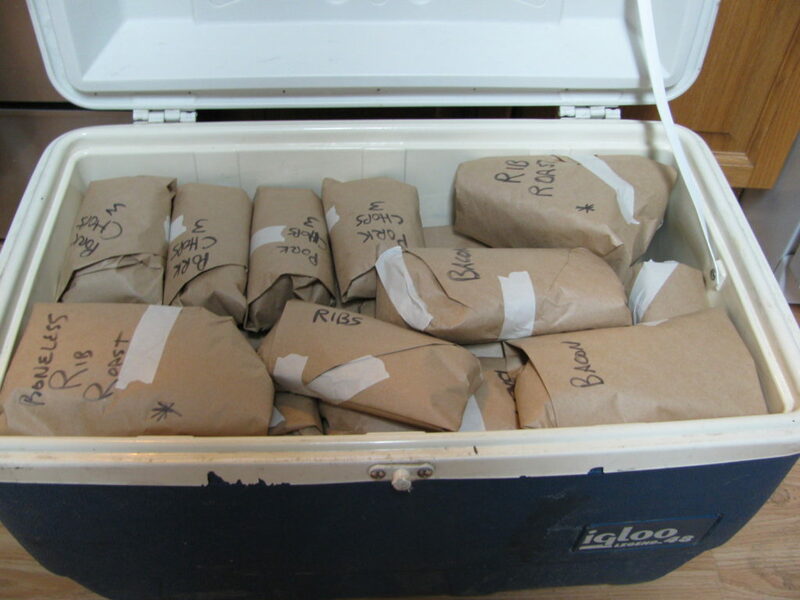 This cooler is ready to go off to friends in exchange for lamb and goat. Who doesn’t love bartering? In your neighbourhood, you may find bartering works. It can certainly make it easier for everyone. One family raises beef, another raises pigs, and another raises chickens. This means the livestock setup is only needed for one particular animal, instead of all the fencing and housing requirements for all kinds of animals. 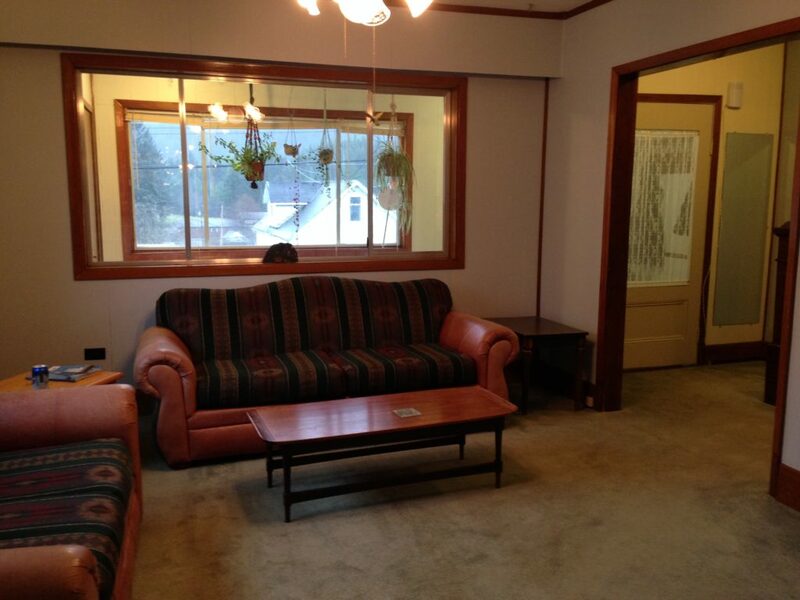 Here is one of the hind quarters. It’s pretty much just one big ham but we did cut it into smaller hams. Freeze them individually and then brine them later if you want to smoke some of them! Here are the results of butchering one half of a pig. Click on the picture if you want to see the cuts we wrapped. The bowl in the top left of the picture is full of the trimmings. Is raising and butchering pigs for your family looking like a better idea now? The other bowl with all the organs (heart, liver, kidney) is not in the picture. All these organ meats and trimmings get cooked up, then pressure canned. This becomes meat for our dog. Remember that you have the option to plant a garden full of veggies just for the pigs. Read about what vegetables we feed our pigs and you may want to plant a garden for your pigs too. 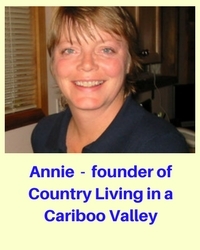 It saves a lot of money and that is a large part of what raising your own meat is all about. Of course, the added knowledge of just exactly WHAT you feed them helps to feel secure about what your family is eating. This is the end result of a few months spent raising a weaner pig. Raised on a bit of grain, lots of fresh-from-the-dirt garden veggies and pasture, these pigs have had a wonderful life. But What About Commercially Raised Pork? Think about the way we have raised our pigs, then read this comment left by Patty and think about the difference. Those pigs she’s talking about are raised commercially. That is the pork you buy in the supermarket! “Your pigs have lived a life of luxury with all they want to eat, fresh air, sunshine, good grubs, etc. Here in the Peace Country, as you may or may not know, we have a number of Hutterite colonies – and we have 4 right here in our own county, which is about 1600 square miles. Hutterite pigs are kept in very high-tech CFO barns. 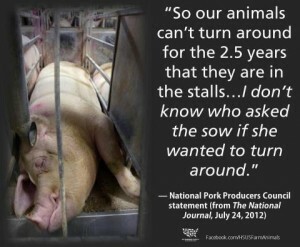 People are not allowed in without suiting up, HAZMAT-type masks, booties, etc., and these porkers never see the light of day from the beginning, to just before the end when they’re loaded into trailers and shipped God knows where for slaughter. So, all things considered, if I was a pig, I’d rather have been yours than a factory pig. Now think about what all that offal is contributing – food down the line for your chickens, da Wolf, and your garden. It’s not a bad thing. I hate to quote “The Lion King”, but it’s all part of the circle of life, hey? This is what a commercially raised pig looks like in her pen – yes, when you buy pork chops at the grocery, remember that this is how your pig spent her life! 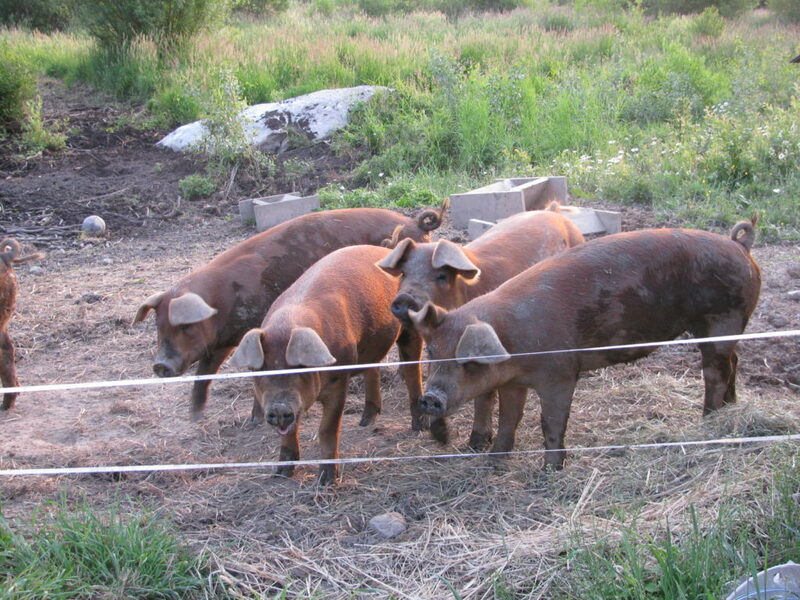 Consider raising and butchering pigs for your family next Spring. I say “a couple” because pigs are such social animals. Raising just one would be very lonely. Grow some healthy nourishing meat for your family. Know what you are feeding your children! Thinking of raising meat birds? Here’s how we fill our freezer with chickens. 8 Pounds in 8 Weeks: Raising Day Old Chicks for the Dinner Table here! Aw I would love to have a few pigs. I love bacon! I wonder if it is reasonably possible to grow everything a pig would need to eat or if you have to buy it corn and stuff (whatever piggies eat). What breed is that in the top picture? It’s soooo cute with the red hair. Hi Amanda, the red pigs are called Durocs. They were so cute when they were tiny. I really like that picture of Graham rubbing the little guys head. You could grow all their own feed, depending on where you lived. Some people totally pasture feed, so there are options. We know we’re coming into a pork shortage, probably chickens and beef too after the drought. I only have 5 rocky, wooded acres, enough for a dozen chickens and a garden. I don’t know if it would be economical to raise pigs or not. I know they would be great at turning over the soil so we could expand the gardens and the manure would be great. We would have to buy their food I think. Otherwise, we get a hog from our neighbors. The butcher blocks it out and we process our own bacon, hams, pork steaks, etc. I need a farm! I remember reading about someone who raised pigs on wooded acres with lots of rocks. It may have been Joel, at Polyface Farms. If you don’t have room for a big garden for the pigs, you could fence a large space and then cross fence it with electrical fencing. Cross fenced in narrow strips, the pigs could plow it up when a couple of weeks. Then move the electrical over to the next strip, and plant veggies in the first strip. Rutabagas, turnips, sugar beets, carrots, other root veggies. Turnips in particular can grow large and they grow very fast – you could be feeding those off to the pigs within 2 months maybe of planting them. You would have to buy most of their feed while the veggies are growing. Bu everytime, they vacate another plowed strip, start planting the same day. You may be surprised at the result. Thank you. I’ll mention this to my husband .